During the first 2 years of the founders’ volunteering in Vietnam with Swim for Life, they coordinated a new classroom-based water safety education program. This program provides an interactive, 45-60 minute training, designed to teach children the essential rules of being safe around water, identification of dangerous places, and basic, land-based rescues. In the first year, the program reached 72,000 students, thus making it a unique and desirable opportunity to collaborate with a drowning prevention scholar. Beth connected with her alma mater, Indiana University, and was connected to Dr. Ramos, Director of the Aquatics institute and Associate Professor within the School of Public Health. Dr. Ramos was immediately interested in partnership and is now in the second year of conducting research through the project. We Bloom is serving as the coordinator for INGO’s wanting to start the Water Safety Education program, and is collecting the data through cloud-based forms powered by Microsoft. Dr. Ramos and his team then analyze the data, identify trends and create meaningful reports for stakeholders regarding learning outcomes. 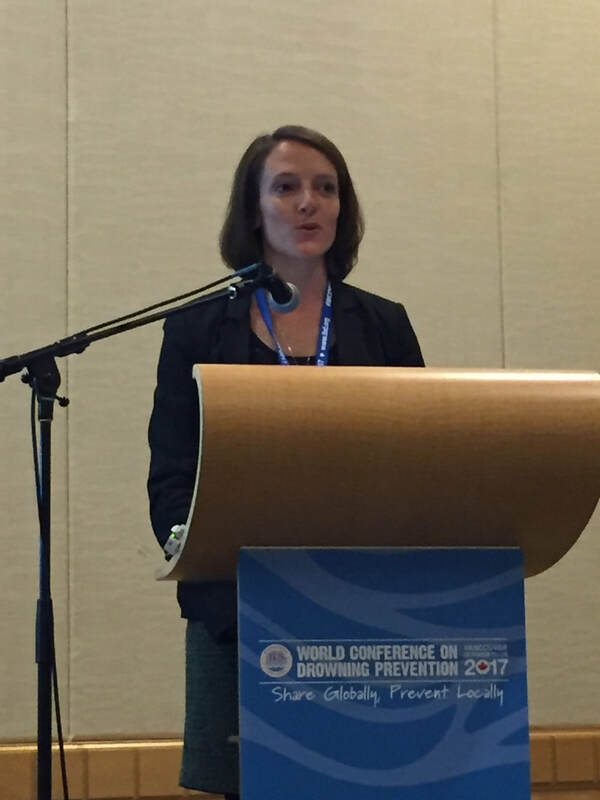 The initial research findings were presented at the 2017 World Conference on Drowning Prevention on behalf of Golden West, Swim for Life. The next phase of the study will look at predicting the behavior of children based on their exposure to the WSE training. Additionally, a longitudinal component will be added to evaluate the impact on the WSE program on reducing the number of drownings.